Kona lure maker Jim Rizztuo started perfecting his craft at a young age, building lures out of almost anything he could find. This eventually came to include, of all things, a turkey baster. Even if you never make this particular turkey baster lure, Rizzuto offers up the steps needed to cast lures from "found" molds of almost any suitable shape. Story and photos by Jim Rizzuto / luremakingkonastyle.com. 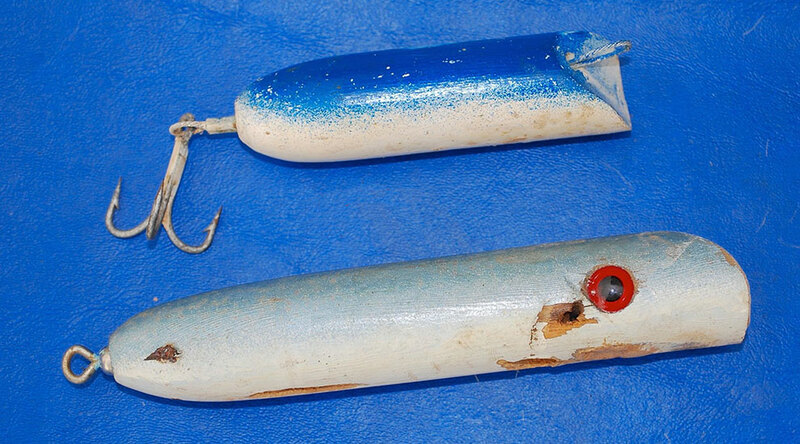 When I was a kid I usually fished from shore, and would make wooden lures from dowels, discarded tool handles or any other interesting wooden shape I could scavenge for free. 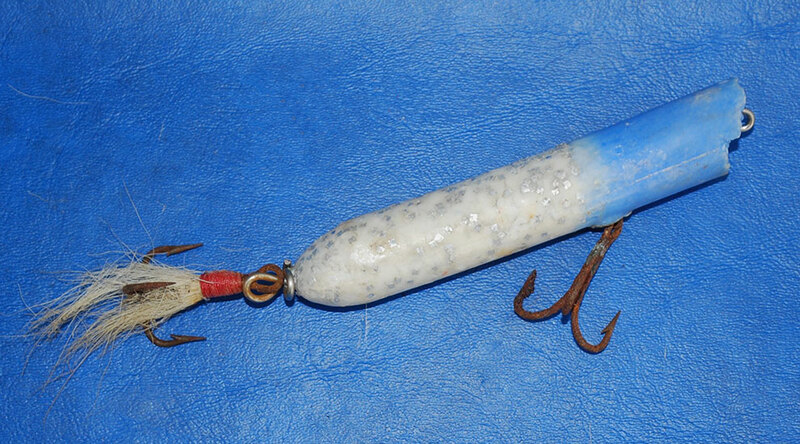 The handle gave you the raw material, and it was already a nearly finished, tapered lure shape. 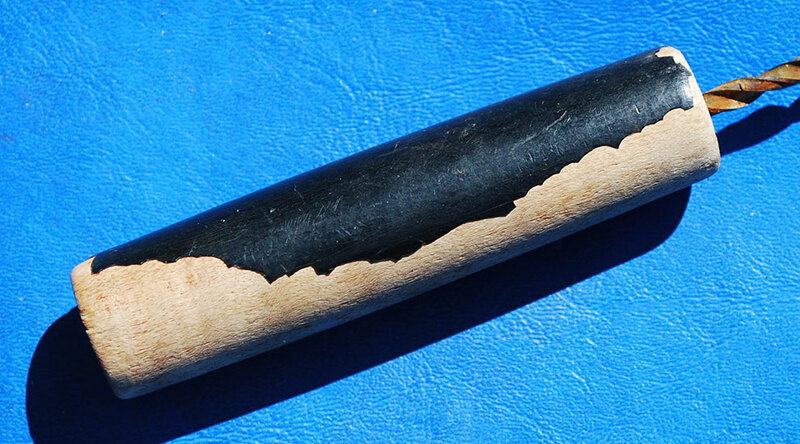 If you got lucky, your starting material already had guide holes to help you drill through the center of the wood for a solid line-to-hook connection. These wooden lures all floated, and they all caught fish. In 1956 Atom came out with its "Striper Swiper." It caught fish but broke the rules: It was made of hard plastic and it sank. The ancient relic pictured above shows its age from rust and disintegration, but at the time this lure provided the inspiration that turned me on to creating molds for hard-resin lures. I had to try to figure out how to make something similar. By then, the guys in Hawaii and other places were experimenting with lures molded with polyester resins. Resins were already available at hobby shops, but where could I find a suitable mold? The answer was right there in front of me every family holiday when my mom basted the turkey. From that first "aha" moment, my college studies suffered a bit while I delved into this new lure-making challenge. 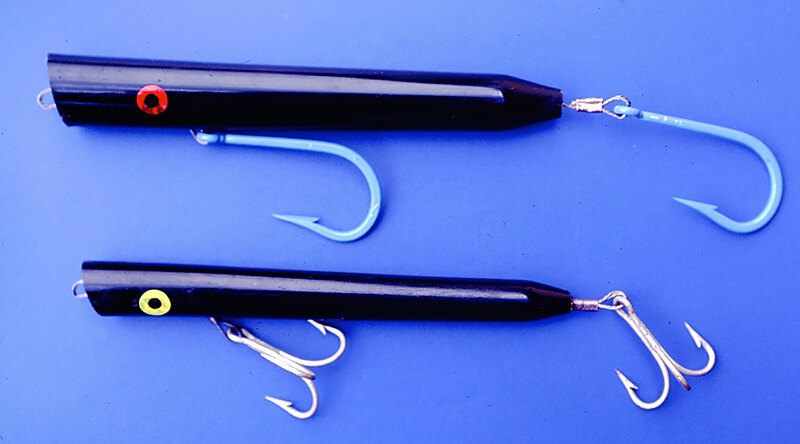 Here are the supplies you need to copy the "Black Baster" lures I started making a very long time ago. 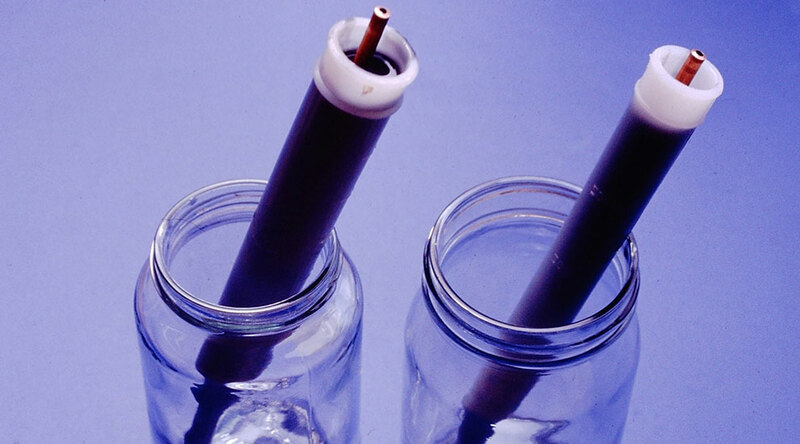 Along with resin, catalyst and pigment, you need a turkey baster tube, disposable jars, and metal tubes to make the leader channel. Copper tubes are pictured above because that's all I could find 60 years ago. 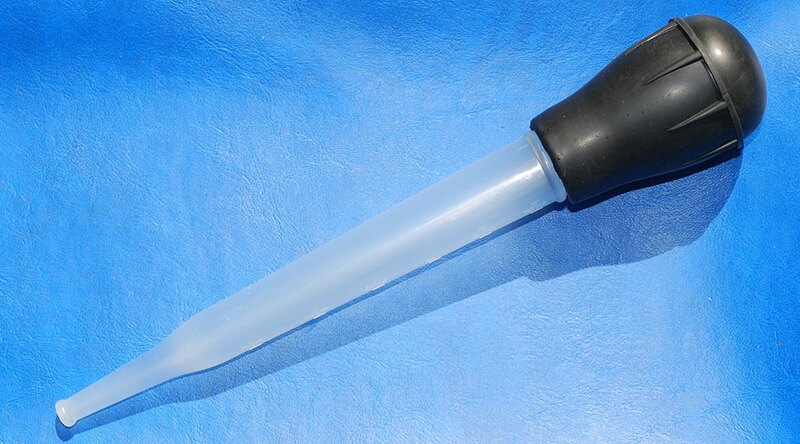 Wrap the ends of the tube with tape to press-fit it into the narrow end of the baster so it will stay in place. 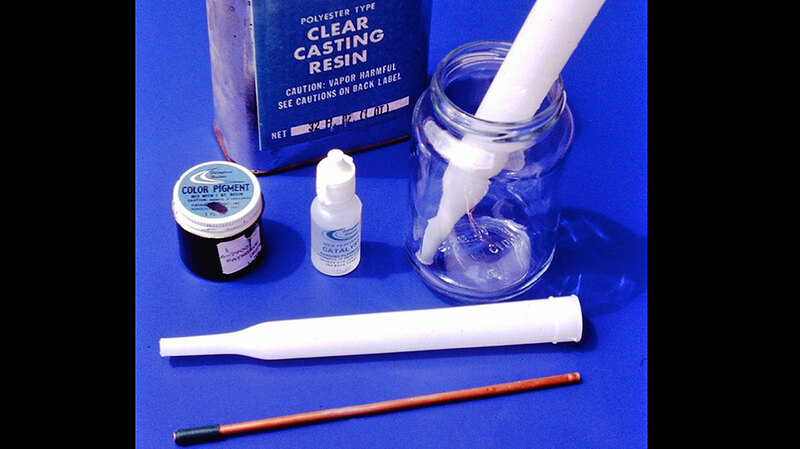 First, wipe the inside of the baster with petroleum jelly to help release the cured resin after it sets up. 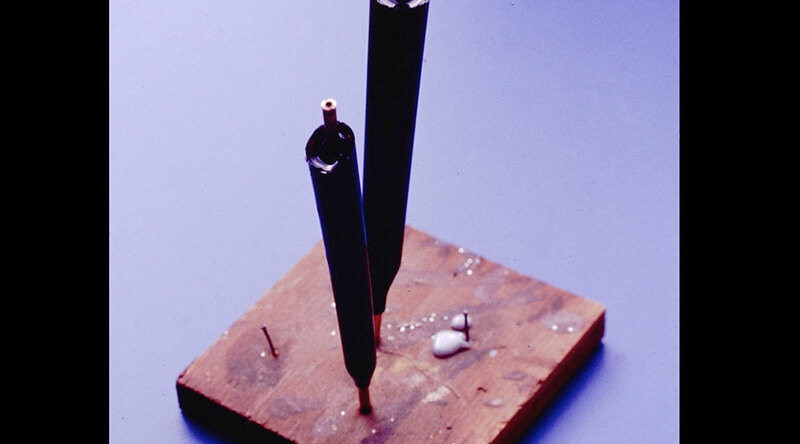 The position of the leader tube in the baster will affect the finished lure's action. One tube above is positioned right down the center, while the other is offset. Also, by tilting the tube, you can control the angle on the face of the lure. Mix your resin, catalyst and color. Pour into the baster and wait. 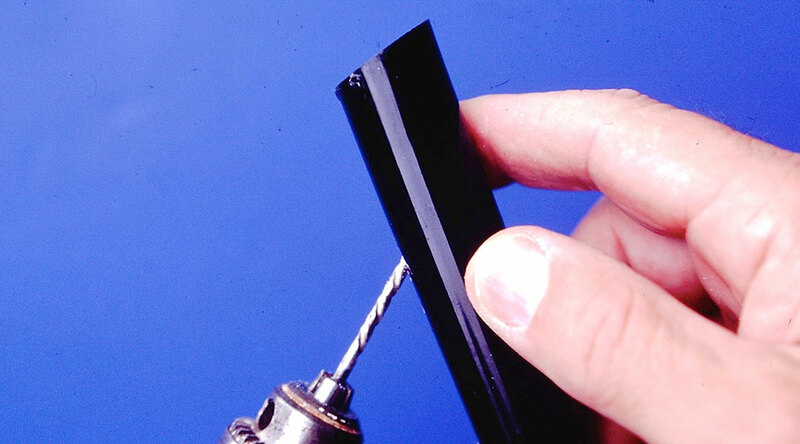 After the resin hardens, pop the lure shapes out of the mold. Set them aside until fully cured (the hardened resin will no longer have a strong smell). You can see that the face of the lures are slightly cupped because the resin shrank during curing. Finish off the front end with a drill and rotary file to remove the excess tube, and shape the cup. 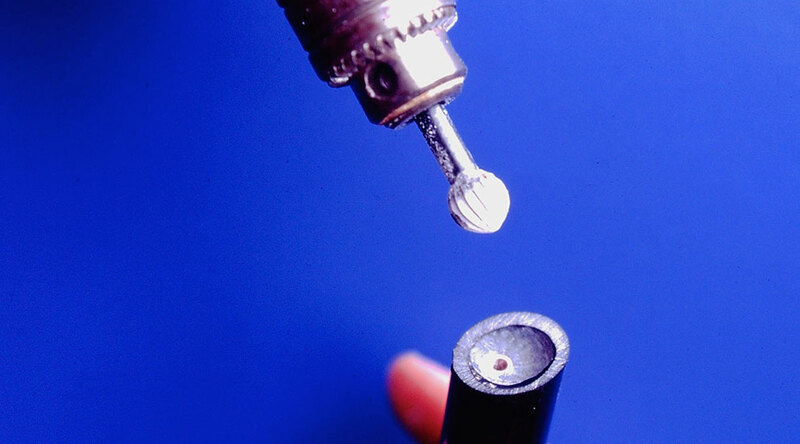 Drill into the side of the cured resin at the point where you want a front hook. 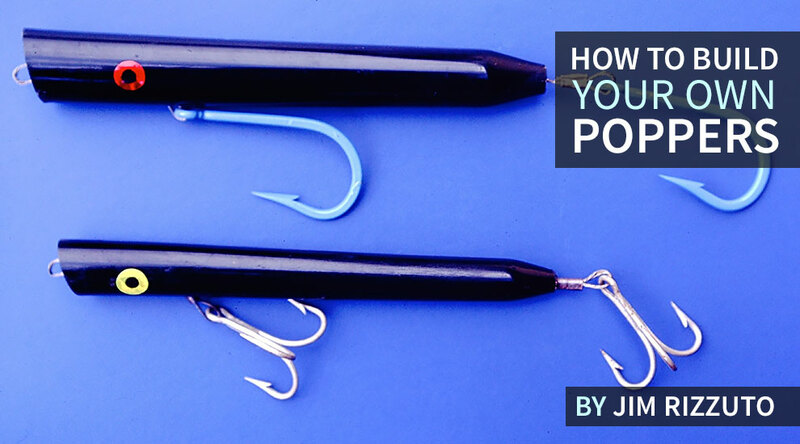 Angle the bit toward the nose of the lure and bore into the tube but not through the other side. You will push wire through this opening and out the nose, then back in the nose and out the back so the nose attachment to attach both hooks with one piece of wire. The surface of the lure cures hard and shiny so there is no need for polishing. A stick-on eye helps make it look classy. Run the wire up the belly opening, out the nose of the lure then back through the body and out of the back end of the lure. Attach hooks of your choosing. 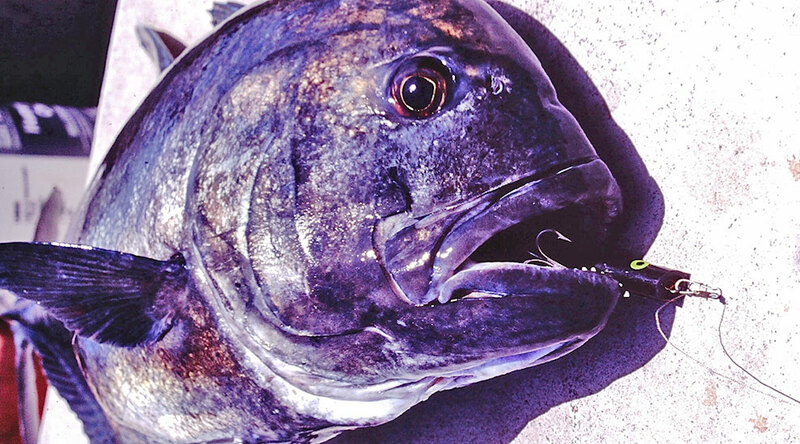 Go find a fish that likes black surface lures and whip your "Black Baster" in front of its nose. Then rip the lure through the water fast so it stays on the surface and makes an exciting commotion.